Good morning girls!. 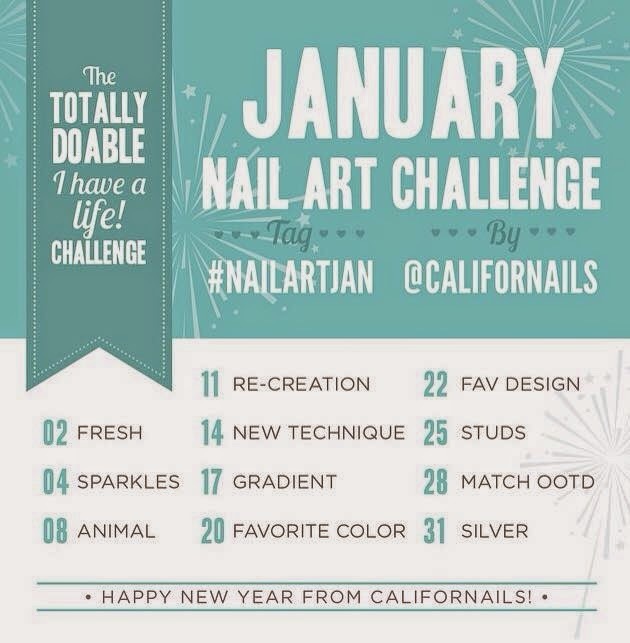 You've hear what they say "Is never to late to start something" so I was searching for some designs inspiration and I found this other challenge hosted by CaliforNails for this month and I decided to do it!. Even I'm already late as we are almost in day 17th which means I need to run this weekend with the 4 manis I need to catch up but, I think I can do it!!! All the designs for this challenge you could see it with tag #NailArtJan. Here are the upcoming prompts is someone like to join it!